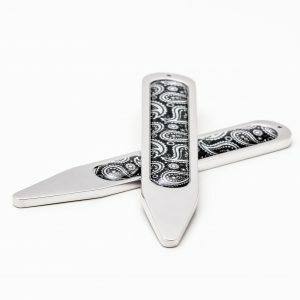 When wearing a pair of Badger & Brown collar stiffeners in your shirt we guarantee your collar will never become curly or untidy. Quality assured products that you can use indefinitely. 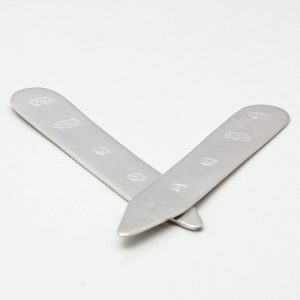 We can also personalise the collar stiffeners. 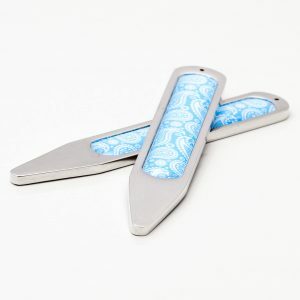 Therefore creating a thoughtful and loving gift.